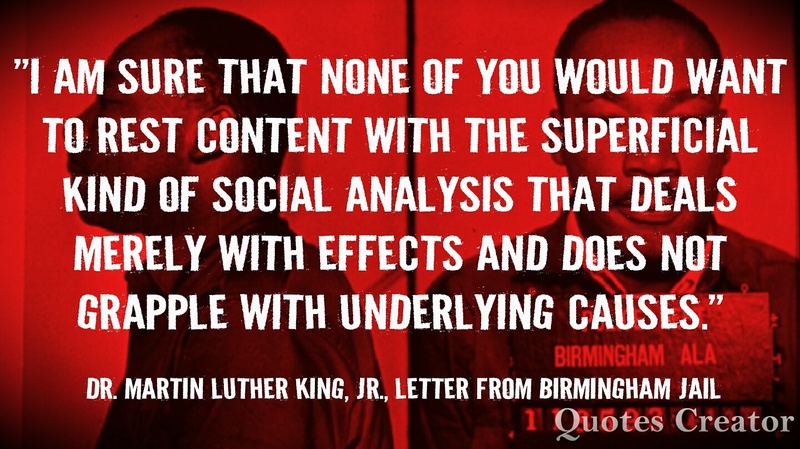 On April 16, 1963, Martin Luther King, Jr. penned his historic letter from a jail in Birmingham, AL. He initially wrote the letter in the margins of a newspaper, from his jail cell. 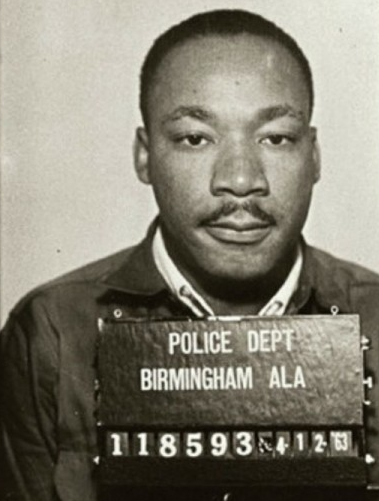 King was intentionally arrested to help garner support for his work in the city. 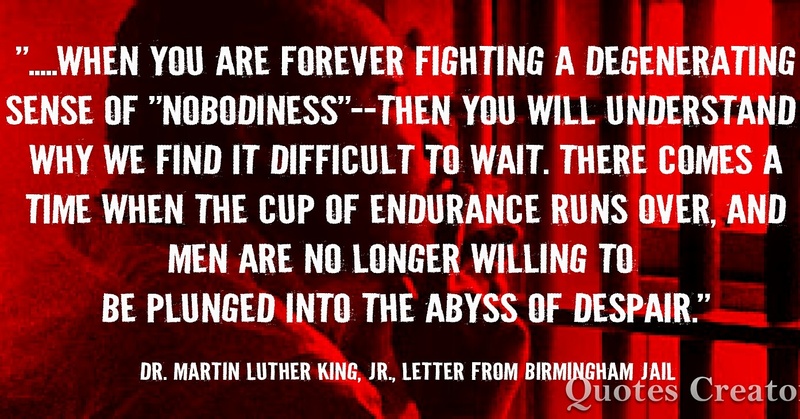 The letter was written in response to criticism he received from white clergy in Birmingham who openly challenged his approach to fighting segregation through, protests, boycotts, and non violence. The clergy criticizing King felt that he should operate within the confines of the law to accomplish his goals. There were also those both black and white that felt King was stirring up trouble that could hinder progress. King was also criticized for being an “outsider” who was stirring up trouble in the community. King eloquently articulated in the letter “why we can’t wait.” In honor of the historic letter, we are sharing two of our favorite quotes contained in the letter. These quotes still ring true today!! To read the letter in its entirety click here. Today we remember the incomparable Maya Angelou. She would have been 89 today (4/4/17). Many don’t know that Dr. Martin Luther King, Jr. was assassinated on her 40th birthday birthday in 1968. After his assassination, she refused to celebrate her birthday. 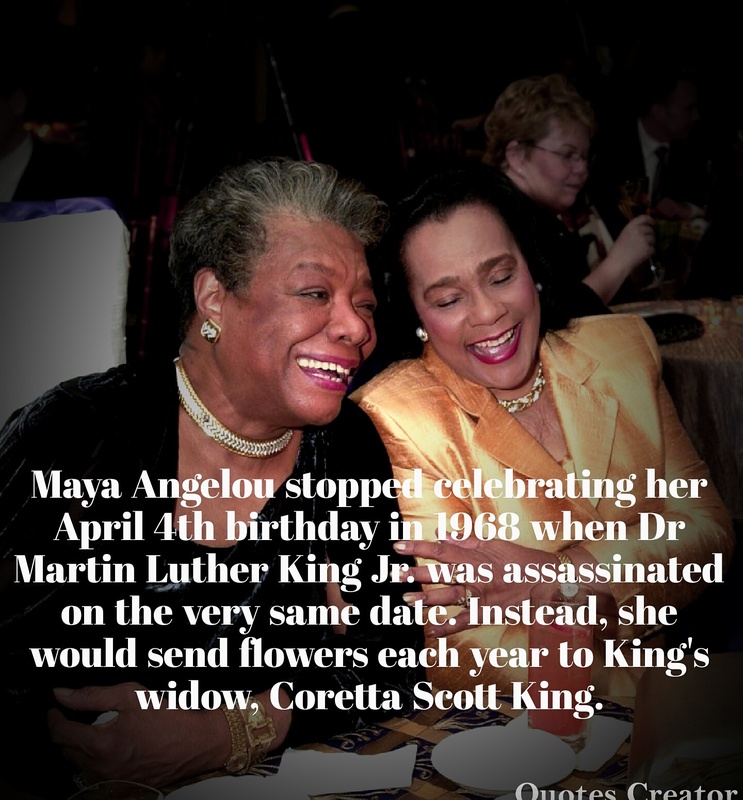 Instead she would send flowers to King’s widow, Coretta Scott King. Ironically before Dr. King’s death, he had asked, Maya Angelou to travel with him and visit churches to raise money for his efforts to support the poor. Angelou agreed, but stated she could not begin until after her birthday. A promise she would never get the chance to fulfill. She was notified of his death while preparing for her birthday party.